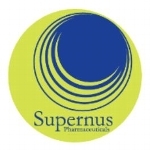 WELCOME TO THE SUPERNUS FUNDRAISING WEBPAGE! As a corporation and community, our mission is to raise funds to make a difference in the lives of people living with epilepsy. The mission of the Epilepsy Foundation is to lead the fight to overcome the challenges of living with epilepsy and to accelerate therapies to stop seizures, find cures, and save lives. As we continue to be a part of this experience, we hope you can join us help those fighting epilepsy!